Bhandashah Jain Temple The oldest existing structure in Bikaner, this beautiful temple was erected near Laxminath Temple in 1514 A.D. and is dedicated to the 23rd Tirthankar ‘Parsvanath Ji’. 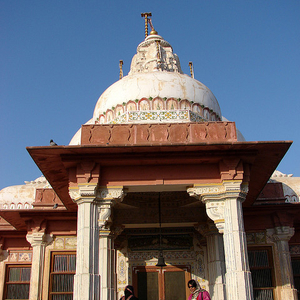 Here's the our members favorite photos of "Temples in Bikaner". Upload your photo of Bhandashah Jain Temple!